A type of medication error occurs when a pharmacist fills the prescription incorrectly, either by putting the wrong pills in the bottle, or by putting a heftier dose than the doctor prescribed. Such was the case with one Wisconsin woman who died as a result of a medication error. Her doctor had prescribed her methadone to treat chronic pain, but when the pharmacist filled the prescription, it was for twice the amount that the doctor prescribed. As a result, the woman went into respiratory arrest. While pharmacists are rarely sued for medical malpractice, it does happen. The wrong prescriptions get filled or they right prescriptions get filled in the wrong dosages. When that happens, it’s not the doctor’s fault; it’s the pharmacist’s. Filling the wrong drug. This is the most common form of medication error. When a pharmacist puts the wrong drug into the bottle, it’s usually because they mixed up prescriptions. This can be extremely dangerous. Doctors often prescribe drugs fully aware of how they will interact with one another. When the pharmacist breaks this delicate balance they are guilty of medical negligence. Filling the right drug with the wrong dosage. As in the case mentioned above, dosage errors can be fatal. They can also lead to unnecessary hospital visits, medical expenses, and other complications. If the pharmacist fills the prescription improperly, they are guilty of medical negligence. Printing out the wrong instructions. Doctors indicate how drugs are supposed to be taken to the pharmacist. The pharmacist then puts this information on the pill bottle. When those instructions are printed out incorrectly, the result can be that the patient either isn’t getting any benefit from the drug or taking more of the drug than is safe. This, too, constitutes medical negligence. Not reviewing the patient’s drugs interactions. 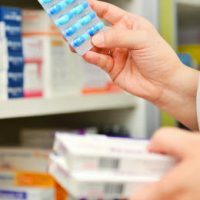 Pharmacists are responsible for reviewing what other medications the patient is on and ensuring that the drug they’re taking doesn’t cause serious side effects when taken together. When they don’t do this, and something bad happens, they can be held responsible for medical negligence. Doctors are also responsible for medication errors. Sometimes drugs with similar names can appear illegible to the pharmacist. They may fill the wrong drug when they should have checked with the doctor. This ultimately falls on the pharmacist, but doctors are also responsible for medication errors. According to AARP, medication errors more than doubled in 2016. The FDA has estimated that over a million people are injured due to medication errors each year. By and large, however, the most vulnerable segment of the population is those who are over the age of 50. On the one hand, people over 50 tend to take more pills, but also, a large number of medication errors were the result of heart medications. If you’ve suffered an adverse drug reaction, it could be medical negligence. Contact the Tampa, Florida medical malpractice attorneys at Palmer Law Firm, P.A. for a free consultation.